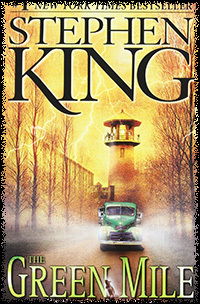 "The Green Mile" is a miniseries of 6 books written by Stephen King published in 1996 and told the story of a group of prisoners on death row and their guards. "We each owe a death. There are no exceptions. 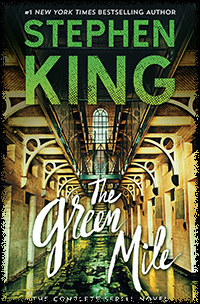 But, oh God, the green mile is so long." One of the prisoners is innocent of the crime he was convicted of and over the course of the series, we see the evils in men but also the goodness... And we even experience miracles.